We’re eating breakfast at a table topped with white linen, overlooking 3,200 acres of Ecuador’s Choco-Andean cloud forest. A colorful Choco toucan chirps in a nearby tree. “Nothing is impossible,” says our guide, Anderson, and I am inclined to believe him. Before the coffee had a chance to get cold, howler monkeys joined in the chorus, and a hummingbird buzzed by. 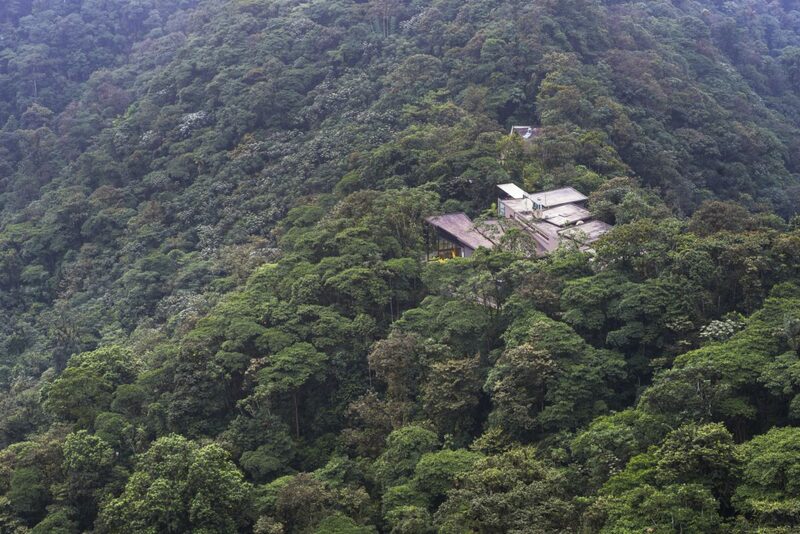 To wake in the clouds that envelop Mashpi Lodge is a nature lover’s dream. 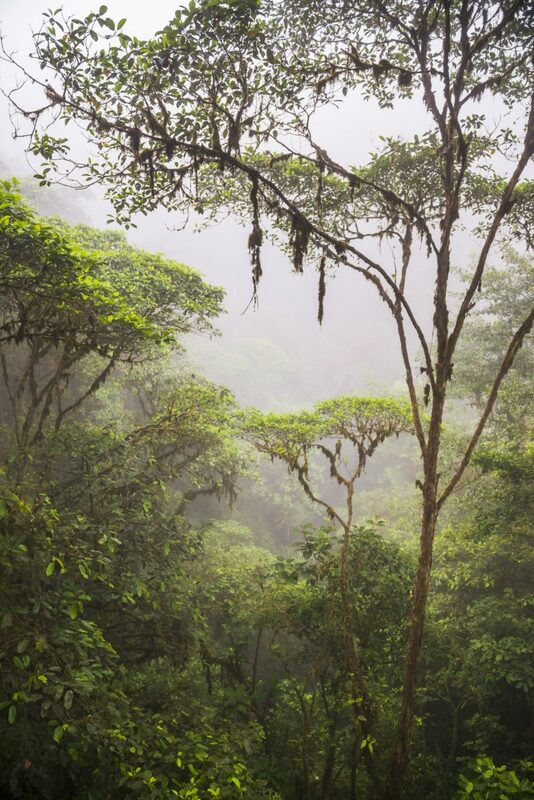 Located just 69 miles from Ecuador’s capital city of Quito, the winding journey to the jungle takes more than three hours, without paved roads for the final leg. When the van finally comes to a stop at the lobby entrance, it feels like I’ve traveled a world away. In many ways, I have. 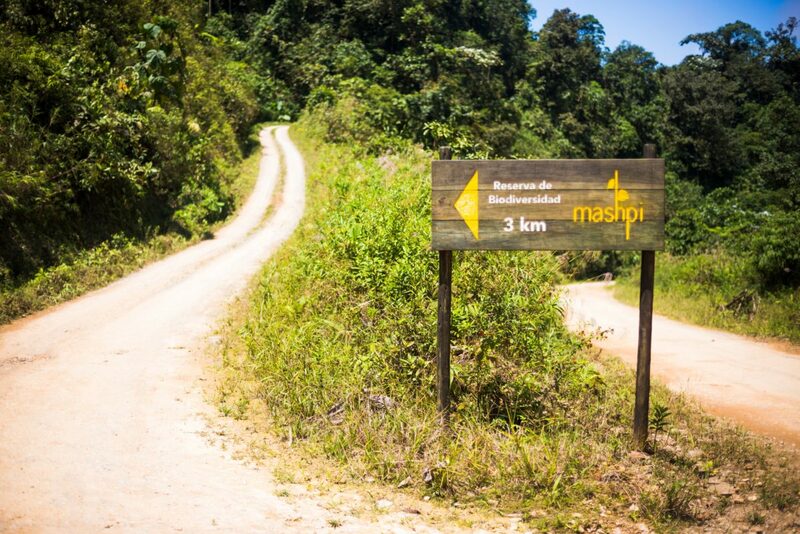 Upon arrival at Mashpi, guests are fitted with a pair of tall rubber boots. There isn’t really a dry season here; as Anderson says, “It’s more like there is a rainy season, and a very rainy season.” Forest hikes involve a lot of mud—the thick kind that requires a little effort to extract a submerged foot without breaking stride. 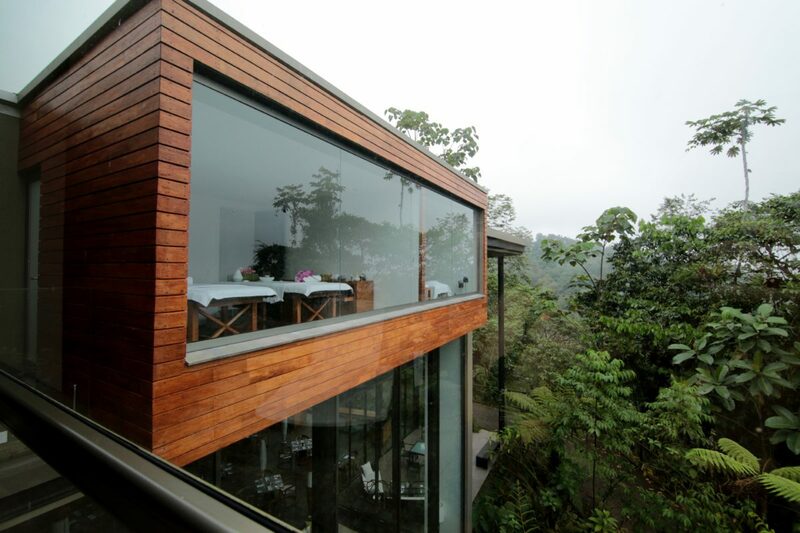 Like many of the rooms at Mashpi Lodge, the spa overlooks the Mashpi forest below. 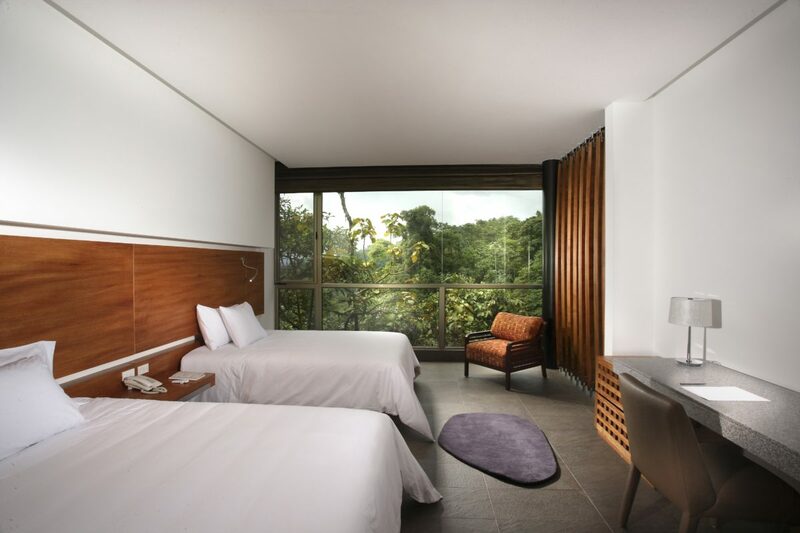 Though there's rarely a lull in Mashpi's rainy season, the rooms still receive plenty of natural light. 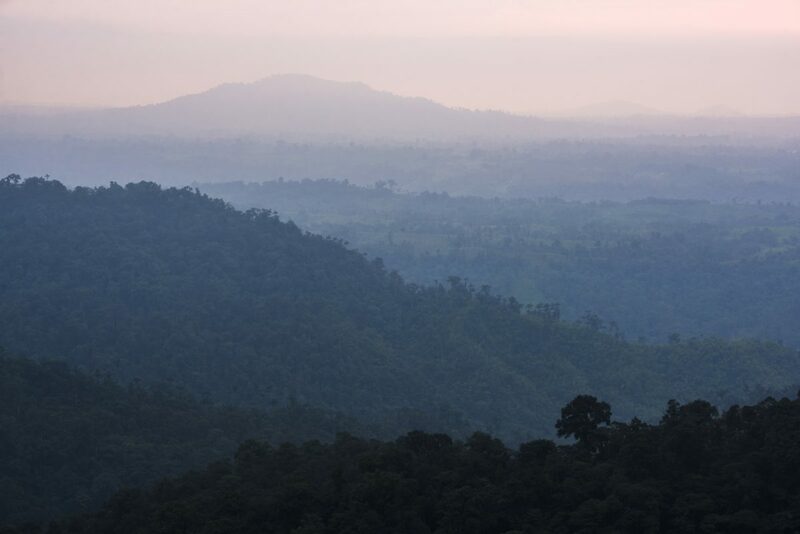 The final stretch of the journey to reach the lodge is an unpaved road cut through the forest. Mashpi Lodge is remote. Full stop. It doesn’t take long to adapt; there are too many other things to think about, like being dive-bombed by any one of nearly 20 species of hummingbirds or discovering colorful frogs on leaves big enough to shelter you from the rain. Binoculars are handy, but Masphi has a way of getting guests plenty close to the rainforest canopy action. For example, the Sky Bike rolls along a cable that stretches nearly 700 feet up in the forest, across a gorge and a flowing river. Designed for two, one person pedals the bike while the second simply sits back to take in the view. Back at the lodge, 24 rooms and suites have everything you’ll need and then some—floor-to-ceiling windows with sweeping jungle views very much included. There are no televisions at Mashpi, but bird-watching sessions start each morning at 6:30 out on the terrace. 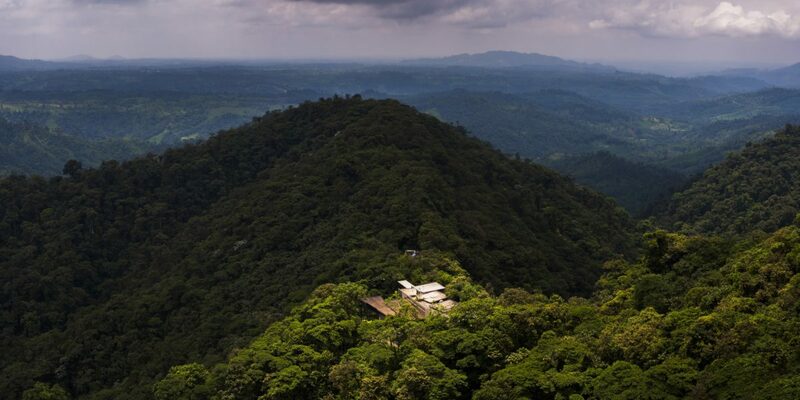 A staggering 400 species of birds flutter through the surrounding treetops, and 15 to 20 can be seen daily from Mashpi’s vantage point. Hot coffee will be waiting for you, and pajamas are most welcome. More than 400 species of birds populate the canopy surrounding the lodge. Bird-watching at the lodge begins at dawn.